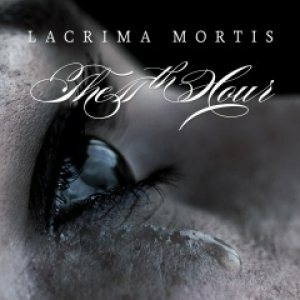 CD Review: The 11th Hour, "Lacrima Mortis"
The 11th Hour is about to release their second album, Lacrima Mortis. See what we think about it. The 11th Hour is mainly Ed Warby who plays all the instruments on the album and has the clean vocals. He employs Pim Blankenstein to do the growling for him. Lacrima Mortis is a bit confusing all around to be honest and I felt the same way when I heard the 2009 debut, Burden of Grief. They are billed as doom metal though as you listen you don’t feel much doom like you do with bands that stick to the usual formula. The confusion starts though with the cover art, a close-up of a tear drop exiting a woman’s eye. That screams out lame Lacuna Coil record. The music itself is filled with a lot of strings making it feel more like symphonic metal than doom. And based on the cover and sound, you’d expect a female singer, which doesn’t exist in this group. So it’s kind of messing with my thought process with the disc. I get why they are billed as doom metal though. Most of the riffs are downtuned and creep along at a snails pace, which contributes to the fact that all but the closing track are between seven and nine minutes long. Blankenstein’s growls add sinister moments here and there and based off of song titles like “Tears of the Bereaved” and “We All Die Alone” the main message is of despair and sorrow. All this combined should create a record that is depressing as hell and yet, it’s not. In fact, when I listen to it, I have very little feeling at all. The other side to this is that the disc is actually pretty good. All the tracks are very listenable and there’s not one moment that I want to turn it off but I don’t know that I’d seek it out either. That was the exact same thing with the debut album. Lacrima Mortis once again shows that the 11th Hour is a solid band but there’s just something that’s not quite there yet and it’s hard to pinpoint exactly what that is. Until someone does, I have a feeling they are simply destined to create music that’s decent but never really wows anyone.